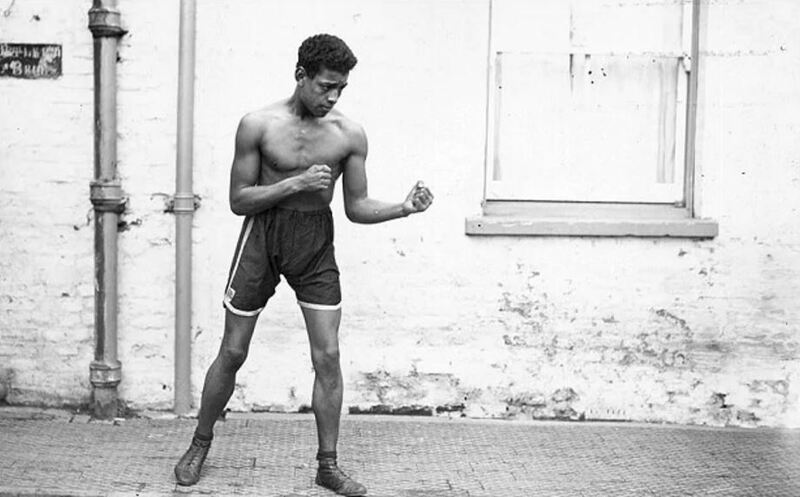 Above: fighters like Manchester’s Len Johnson (1902-1974) are part of a strong legacy of communist boxers who recognized the role combat sports and athletics could play in the working class’s struggle for a better world. Recently a group of red boxers in Vancouver, British Columbia affiliated with the Industrial Workers of the World (IWW) established the Red Corner Boxing Club. Open to local activists of all left-wing tendencies, the club takes its inspiration from the contemporary anti-fascist martial arts/physical culture movement in Europe, including the Solstar Sports Association in London, recognizing the importance of promoting self-defence, discipline, health and self-improvement within our movement. Red Corner, however, is not a “self-defence class,” but rather a proper boxing club, which aims to build fighters for competition at the amateur level. This does not contradict the goal of training for street-level self-defence: if you can handle yourself in the ring, chances are you can handle yourself on the street. As for the association with the Industrial Workers of the World (IWW), the Vancouver local describes itself as “a revolutionary anti-capitalist union for all working-class people. We are a rank-and-file union with no bosses. Our decisions are made democratically and collectively by the membership.” The IWW was originally founded in 1906, and played an important historic role in militant working-class struggle in Canada, including the Winnipeg General Strike, the On-to-Ottawa Trek, and the founding of the Canadian Seamen’s Union (CSU).